This message was delivered at NCMI's 2007 conference, The New Creation: A Theology of Mercy, in Auburn Hills, MI. I was raised in the church to never question the authority of my pastors and teachers and consequently I became a pre-millennial dispensationalist by default (and long before I could pronounce it). I received my first instruction in eschatology at the age of eight from a couple of Billy Graham movies depicting the rapture and tribulation, which left me traumatized by nightmares about being “left behind.” Maybe some of you saw the same movies. 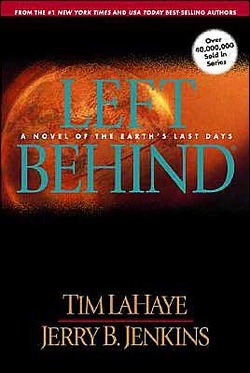 As a preteen I had already read Hal Lindsay’s The Late Great Planet Earth, as well as an older, obscure novel from my dad’s library entitled, In the Twinkling of an Eye. I still remember the description of the clouds “parting like a scroll” in the opening scene, straight out of the Bible. At summer camps the songs we sung around the campfire included Larry Norman’s “I Wish We’d All Been Ready.” And so I had that saturation early, and regularly, throughout my growing up years. I do distinctly remember, however, as I got older, questioning my bible teachers in high school about the phrases in the gospels like “this generation” and “some standing here,” and I do remember being dissatisfied with the party-line answers, but since I had been taught not to question authority, I quickly learned to put eschatology in the category of “things I will never understand,” rather than face my growing cynicism head on. (And I simply remained a dispensationalist by default). I had gone through a period of a few years when I would experience anxiety whenever I picked up my Bible to read. I so wanted to get back into it, but I was almost afraid of what I would find, so I mostly stayed away from it. It seemed as if the older I got, and the more I had learned through life experience, the more critically I looked at the Bible, the more I questioned its relevance to my life, and this world; and I simply ceased to be appeased or comfortedby the party-line answers I had resigned myself to when I was younger. I was forty (something) years old, and had been a Christian my whole life. And now I had a decision to make: either resign myself to a passionless, mediocre, going-thru-the-motions faith; or pursue the hard questions to the end no matter where they led. Thus began the joyous, thrilling journey of discovery I have been on for the past three years. What began with a few time statements turned into a hundred, and opened my eyes to a little thing called “audience relevance,” which later led me to take the plunge into a deep sea of metaphor from which I will never emerge. And I have no desire to. I assure you, the water’s fine. One thing have I desired of the Lord, and that will I seek after: that I may dwell in the house of the Lord all the days of my life, to behold His beauty, and inquire in His temple (Psalm 27:1). That was the one thing David desired more than any other. More than heaven? Actually, this is a description of heaven, and yes, if we are believers in Jesus Christ, we are there now. The nuance here which might get missed, even by people who readily acknowledge that the "temple" is not referring to a physical building, but God's presence with His people, is the fact that we,his people, are that temple. And there is only one, a holy temple of the Lord, built upon the foundation of the apostles and the prophets. Is this all there is? First we need to define “this”. And we need to ask ourselves the question, what is the Bible (which tells us of heaven) about? Is the Bible about cosmological history, or is the Bible about redemptive history? And if we agree that the Bible tells the story, from beginning to end, of redemption, then we need to ask ourselves, with what was God’s redemptive plan concerned? Was it to perfect the consciences of His people and bring us into face to face communion with Him, and with each other in Him forever; or was it to recreate the physical planet (as if there is something the matter with it)? Been cleansed of all unrighteousness and been made the righteousness of God (1 John 1:9; 2 Corinthians 5:21). Been raised up together to sit in heavenly places in Christ Jesus (Ephesians 2:6). Been perfected forever by His one offering (Hebrews 10:14). Been presented holy and unblameable and unreproveable in His sight (Colossians 1:21f). Come from the east and west, to sit down with Abraham, and Isaac, and Jacob, in the kingdom of heaven (Matthew 8:11). Come to the city of the living God, the heavenly Jerusalem, and to an innumerable company of angels, To the general assembly and church of the firstborn and to God the Judge of all, and to the spirits of just men made perfect (Hebrews 12:22f). The temple of the living God. He dwells in us, and walks in us; He is our God and we are His people (2 Corinthians 6:16). We merely are the many mansions in the Father’s house (John 14:2). That the God of our Lord Jesus Christ, the Father of glory, may give us the spirit of wisdom and revelation in the knowledge of him: The eyes of our understanding being enlightened; that we may know what is the hope of his calling, and what are the riches of the glory of his inheritance in the saints, And what is the exceeding greatness of his power toward us who believe, according to the working of his mighty power, Which he wrought in Christ, when he raised him from the dead, and set him at his own right hand in the heavenly places....and [are you ready?] raised us up together, and made us sit together in heavenly places in Christ Jesus (Ephesians 1:17f). In thy presence is fullness of joy, and at they right hand are pleasures forever more (Psalm 16:11). My friend once commented to me that she thought heaven would be a place of no more tears, or sickness. And indeed it is. The Bible equates the absence of sickness and the wiping away of all tears with the forgiveness of sin. Once we realize that the prophecies of a new world to come that we used to interpret literally and physically are beautiful metaphorical pictures of far greater spiritual blessings, and that they all found their fulfillment in Christ, in Whom “all the promises of God are yes, and Amen,” we will begin to see the consistency of this language through all of Scripture. The kingdom the prophets saw is the same kingdom which Jesusproclaimed was “at hand” and “not of this world,” and “within you.” It is the kingdom which Paul said was “not meat and drink; but righteousness, and peace, and joy in the Holy Ghost” (Romans 14:17). You seek me, not because you saw the miracles, but because you ate the loaves, and were filled. Labor not for the food which perishes, but for that food which endures unto everlasting life, which the Son of man shall give to you (John 6:26f). Proving the kingdom has come, and even saying we believe we lack nothing, and have already been “blessed with all spiritual blessings in heavenly places in Christ Jesus” (Ephesians 1:3), is one thing. Tangibly experiencing these things is another. How do we, by God’s design and direction, experience His presence and face to face communion with Him? What I have come to believe and continue to see revealed throughout Scripture, is that the way we experience communion with God is through communion with God’s people; that our communion with God’s people is inseparable from our communion with God; and that God has both designed and commanded our communion with one another as the way we would experience His presence eternally. In John 15, Jesus said to his disciples, “This is my commandment, that you love one another, as I have loved you.” He also said to them, “You are my friends, if you do whatsoever I command you.” In other words, “you are myfriends, if you love one another.” John later wrote, “We love Him, because He first loved us.” And he demonstrated His love, in a word, by His mercy. Luke records Zechariah’s prophecy: Blessed be the Lord God of Israel; for he has visited and redeemed his people…To perform the mercy promised to our fathers, and to remember his holy covenant…To give knowledge of salvation unto his people by the remission of their sins, through the tender mercy of our God (Luke 1:68f). Mercy is why He came, it’s how He loved us, and it’s how He taught us to love one another. The first is that out of all qualities possessed or displayed by human authority or power, mercy is the most “God-like”. It is the attribute of a king which above all others displays divine character. The implication being, that its source is divine. And the second, is that the “double blessing” inherent in mercy is only experienced when it is reciprocated. There is a blessing for the one who gives, and for the one who receives. This is confirmed by Scripture as well: When we show the mercy to one another that He has shown to us, He in fact tells us, “You have done it unto me.” And thereby we experience communion with Him. It sounds so simple, doesn't it? But if it were really that simple to grasp and apply, then lives and relationships would be dramatically impacted, and we don't often see that happening. Instead we see people glossing over what it means to be forgiven, guilt-free and blameless, and looking for something more, something else--let’s admit it: something physical. But it is actually something far less, sadly. What I am learning more and more about the beautiful way God has designedheaven (our communion with Him and one anotherin His presence) is that even though our forgiveness was a once and for all accomplishment (Hebrews 10 tells us that by one sacrifice He perfected us forever), we experience the impact of our restoration to God over and over by both restoring and being restored to one another, as we extend mercy to each other. It is this repeatable experience of restoration on this horizontal plane which serves to continually remind us of the eternal restoration which Christ has accomplished in bringing us to God. I look at mercy performed in our human relationships as little snapshots or carbon copies of God's mercy to us. It is the way He has given us to see and remember, and also to visibly display the Kingdom within us to the world. But that analogy still falls a bit short, because our relationships with each other in Christ are more than just pictures of our relationship with Him; He dwells in us, so He is in our communion with one another: "Wherever two or three are gathered" (wherever God's people are restored to one another), He is there. When the Son of Man comes in His glory [He] will say to those on His right, `Come, you who are blessed of My Father, inherit the kingdom prepared for you from the foundation of the world. `For I was hungry, and you gave Me something to eat; I was thirsty, and you gave Me something to drink; I was a stranger, and you invited Me in; naked, and you clothed Me; I was sick, and you visited Me; I was in prison, and you came to Me.' Then the righteouswill answer Him, `Lord, when did we see You hungry, and feed You, or thirsty, and give You something to drink? `And when did we see You a stranger, and invite You in, or naked, and clothe You? `When did we see You sick, or in prison, and come to You?' The King will answer and say to them, `Truly I say to you, to the extent that you did it to one of these brothers of Mine, even the least of them, you did it to Me' (Matthew 25:31f). It has become quite in vogue to “socialize” the “good news” of the gospel, by recasting Jesus as a social or political revolutionary, and by characterizing what one modern writer has called His “secret message” as a prescription for social change in our day, as this example from Bono indicates. And many Christians unwittingly find themselves complicit with this social gospel, when they interpret these references to feeding the hungry, clothing the naked, and sheltering strangers merely physically. Blessed are the poor in spirit, for theirs is the Kingdom of Heaven; and blessed are they which hunger and thirst for righteousness, for they shall be filled (Matthew 5:3f). Most assuredly, I say to you, he who believes in Me has everlasting life. I am the bread of life. Your fathers ate the manna in the wilderness, and are dead. This is the bread which comes down from heaven, that one may eat of it and not die. I am the living bread which came down from heaven. If anyone eats of this bread, he will live forever; and the bread that I shall give is My flesh, which I shall give for the life of the world…It is the spirit that quickens; the flesh profits nothing: the words that I speak unto you, they are spirit, and they are life ((John 6:47f). We have just seen Jesus contrast spiritual food with physical food, and declare which is essential for eternal life. Even in the context of feeding people physically, Jesus always pointed to the fact that physical food was not their true need. He had much more to offer than a temporal satisfaction of a physicalhunger. In light of that, returning to Matthew 25, and remembering that its context is the Kingdom of Heaven, and the identity of those who were about to inheritit, andthe intimate, reciprocal relationship between Christ and His people as expressed so beautifully and tenderly by the words, “you have done it unto me”; we must understand that a merely physical interpretation, which ignores that context, will completely miss its intent. The Kingdom of Heaven is eternal, all people in it are eternal, and the ministry they have to one another, even while inhabiting this temporal realm, has eternal significance. But a merely physical focus is leading to some erroneous, even gospel denying, conclusions. Here is a rather extreme example of how the 'physicalization' of Jesus’ teachings about the Kingdom leads to a socializingof the Gospel which not only dismisses His redemption of His people, but also fails to recognize the spiritual nature of the Kingdom, and the spiritual meaning of the metaphors Jesus used to describe it. Thy people shall be all righteous: they shall inherit the land for ever, the branch of my planting, the work of my hands, that I may be glorified (Isaiah 60:21). So the problem we have when we interpret the metaphors in Matthew 25 physically, is that physical applications lead us outside of the specific audience Jesus was addressing, and thereby they lead us away from the relevance of his words to that audience. And His words are “spirit and life” to believers. It is also important to note that Jesus’ use of these metaphors we are going to look at briefly--feeding the hungry, clothing the naked, and sheltering the stranger—was not new to His disciples. They were well acquainted with the repeated metaphorical use of these very physical things throughout their Old Testament Scriptures. It is not merely my goal to show how Scripture defines these metaphors, but what I would hope for us all to see is how they practically apply to our experience of His presenceevery day, by presenting us with ways to show His mercy, which are both tangible and spiritually significant. I wonder if Peter recalled these words just a bit later when Jesus, after his resurrection, asked him three times, “Do you love me?” Peter answered, “Lord, you know I love you,” to which Jesus replied, “feed my sheep.” Jesus was saying, “You prove your love for Me when you love My people. In fact, when you love them, you love Me; when you feed them, you feed Me. This is the reciprocal nature of the feeding of Christ. We have feasted upon His flesh, the “spirit and life” of His words, and as we have believed in Him we have been forgiven and cleansed. Remember that Peter was probably feeling ashamed at this point, because He had denied knowing Jesus and hid in fear. He was in need of comfort and restoration, and the assurance of Jesus’ love. It was never a matter of that love or forgiveness being withheld. The cross had already removed his guilt, and he was already blameless in God’s eyes, as are we.Peter was grieved when Jesus asked Him a third time. But Jesus knew about Peter what He knows about all of us: that when we fail in our behavior, the fact of our communion with Him will not be accompanied by the feeling of our communion with Him. Our minds are in need of the comfort and peace the truth of His word brings. That is why He commanded Peter to feed His sheep; and that is why He has commanded us to encourage one another with His word. He has given us the answer to the prayer He taught us to pray for "daily bread”, by causing us to be fed and to feed one another off the fat of the land we have inherited together. They shall feed in the ways, and their pastures shall be in all high places. They shall not hunger or thirst; neither shall the heat nor sun smite them: for he that has mercy on them shall lead them, even by the springs of water shall he guide them (Isaiah 49:9f). Let the peace of God rule in your hearts, to which you are called in one body; and be thankful. Let the word of Christ dwell in you richly in all wisdom; teaching and admonishing one another in psalms and hymns and spiritual songs, singing with grace in your hearts to the Lord (Colossians 3:15f). I used to hear passages like this and view them as rather esoteric and indefinable in practical terms; and the artificial picture I would get of people walking around talking to each other in sing-songy King James English didn’t help. But if we have experienced being fed from the Source, if we truly know that His words are life,those words as we apply them should naturally flow out to the comfort and edification of those we are living that life with. Of course apart from intentionally engaging in community with others this isn’t going to naturally happen, which is why we must never separate our communion with God from our commitmentto God’s people. To appoint unto them that mourn in Zion, to give unto them beauty for ashes, the oil of joy for mourning, the garment of praise for the spirit of heaviness; that they might be called trees of righteousness, the planting of the LORD, that he might be glorified…I will greatly rejoice in the LORD, my soul shall be joyful in my God; for he has clothed me with the garments of salvation, he has covered me with the robe of righteousness (Isaiah 61:3f). Remember, that you being in time past Gentiles in the flesh, who are called Uncircumcision by that which is called the Circumcision in the flesh made by hands; That at that time you were without Christ, being aliens from the commonwealth of Israel, and strangers from the covenants of promise, having no hope, and without God in the world: But now in Christ Jesus you who sometimes were far off are made nigh by the blood of Christ... that he might reconcile both unto God in one body by the cross...Now therefore you are no more strangers and foreigners, but fellow citizens with the saints, and of the household of God (Ephesians 2:11f). For the LORD will have mercy on Jacob, and will yet choose Israel, and set them in their own land: and the strangers shall be joined with them, and they shall cleave to the house of Jacob (Isaiah 14:1). [Christ speaking] Though Israel be not gathered, yet shall I be glorious in the eyes of the LORD, and my God shall be my strength. And he [God the Father speaking to Christ] said, It is a light thing that you should be my servant to raise up the tribes of Jacob, and to restore the preserved of Israel: I will also give You for a light to the Gentiles, that You may be my salvation unto the end of the earth (Isaiah 49:5f). In that day there shall be a root of Jesse, which shall stand for an ensign of the people; to [Him] shall the Gentiles seek: and His rest shall be glorious (Isaiah 11:10). While it is true we will never again be estranged from God, because we have already come to His light and entered His glorious rest, our experience on this horizontal plane can cause us to doubt that in our minds. Fellowship with another is broken when there has been an offense, and because our fellowship with one another is an extension and a reflection of our fellowship with Christ, when we are alienated from a brother or sister, our experienceof God’s presence is diminished. Repentance and forgiveness is necessary to restore us to fellowship with our brother or sister. He has restored us; now we,in Him, continually restore each other. We live out our restoration by being restorers. Sadly, much of the church today is judgmental and condemnatory and effectually opposes restoration. And that is why the Kingdom is often not recognizable to the world for its mercy to the stranger. In closing, I would like to read a paragraph written by our good friend Brian Maxwell. When I first read this, I asked Brian if I could borrow it for this conference because it sums up beautifully both why it is so important that we practice mercy toward one another, and how that practice relates to both our understanding and our experience of that too often elusive concept: heaven. Amen to that, and I would add: until we see heaven, there is little hope of experiencing heaven. Is not this the fast that Ihave chosen? …Is it not to deal your breadto the hungry, and bring the poor who are cast out into your house? And when you see the naked, that you cover him; and that you do not hide yourself from your own flesh? Thenshall your light break forth as the morning, and your health shall spring forth speedily: and your righteousnessshall go before you; the glory of the LORD shall be your reward. Then you will call, and the LORD will answer; you will cry, and he will say, here I am. If you take away from your midst the yoke, the pointing of the finger, and speaking vanity; And if you draw out your soul to the hungry, and satisfy the afflicted soul; then your lightwill rise in obscurity, and your darkness will be as the noonday: And the LORD will guide you continually, and satisfy your soul in drought, and make fat your bones: and you shall be like a watered garden, and like a spring of water, whose waters never fail. And [together] you will build the old waste places: you will raise up the foundations of many generations; and you will be called, The repairer of the breach, The restorer of paths to dwell in…Then you will delight yourself in the Lord; and he will cause you to ride upon the high places of the earth, and feed you with the heritage of Jacob your father: for the mouth of the Lord has spoken it (Isaiah 58:6f). "Proving the kingdom has come, and even saying we believe we lack nothing, and have already been “blessed with all spiritual blessings in heavenly places in Christ Jesus” (Ephesians 1:3), is one thing. Tangibly experiencing these things is another. How do we, by God’s design and direction, experience His presence and face to face communion with Him? What I have come to believe and continue to see revealed throughout Scripture, is that the way we experience communion with God is through communion with God’s people; that our communion with God’s people is inseparable from our communion with God; and that God has both designed and commanded our communion with one another as the way we would experience His presence eternally."